Working as a creative at an ad agency is both a dream job – and killer stressful. When the greenlight finally comes, the deadline was yesterday, which means fast food and no time for being home sick. So here’s a practical, and ever so techy gift, that comes from China’s version of Google, Baidu. The search giant is tinkering with all the usual futuristic suspects (AR and self-driving cars) but they’re also launching smart cutlery. 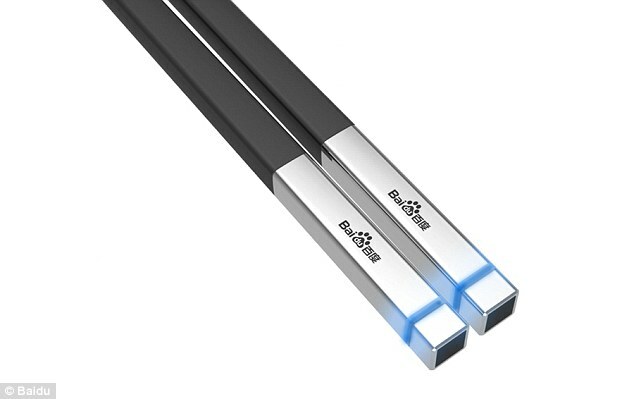 Baidu Kuaisou chopsticks and app will be able to tell you where your food came from, the nutritional value, and if anything’s gone off a red light starts to glow. The wireless toxin-spotting chopsticks were only released in a small prototype batch with a focus on spotting spotty oil (whatever you do, don’t Google Gutter oil), so put them on the wishlist for next year. While the tainted food factor here is marginal, they’re practical for location shoots (and some of the dodgier take-out options). The project grew out of an April Fool’s joke video, but the company confirmed plans at its tech conference this Fall and Baidu’s new video shows progress.